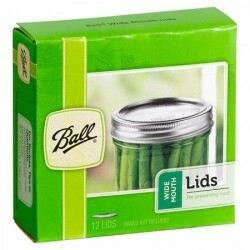 12 x Genuine Ball-Mason Regular Mouth Jar Lids and Bands. Goods received in timely manner and were products that I ordered. I had used Mason jars when living in the USA so am very familiar with them and prefer them to Fowlers Vacola. Hi, Excellent service &amp; an excellent product. 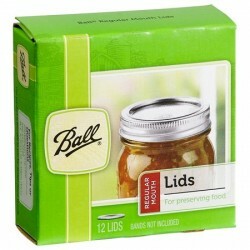 You make it easy to preserve food thanks a heap! Excellent service and very useful product. These are the sorts of products foolish retailers don't keep. Your company is clearly NOT foolish and those of us who enjoy preserving must be very appreciative of your support in making such items available. I am expecting that as it's stainless steel, these bands won't rust. I'll let you know if they do. Great Product, delivered promptly and as described. These bands do the job! Order came quickly, and I always get great service from Oz Farmer. Thanks! Great service, great local product, and ive been putting fresh juice in these jars and its great... love it. A credit to your company.Your service was great. 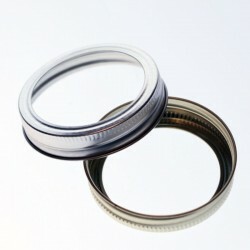 Includes 12 lids with bands. Note that Gold lids and bands are not in a box.